We're constantly getting new providers checking into the Nozawa Accommodation Guide so we have broken a couple of pages off. Hotel Haus St Anton is only a 10 minute walk from Nozawa Onsen Ski Resort and handy to most local amenities, including the travellator. Rooms are simple but homely with satellite TV. Bathrooms and toilets are shared with a hot spring onsite. Pension Fujiyoshi is a popular Western-style pension in Nozawa-onsen near the main street (see map) and local hot springs. The shuttle bus for the ski area is right in front of the pension. 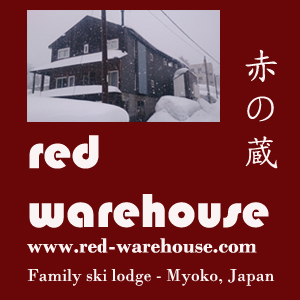 Shirakaba is a minshuku style inn just 100 metres from the Nozawa Onsen Hot Spring Street and 800 metres from Nozawa Onsen Ski Resort. It offers traditional Japanese-style rooms with a tatami mat floor, futon bedding and an en suite bathroom. The Ryokan Sakaya is the most famous Japanese ryokan in Nozawa Onsen, renowned for it's extraordinary level of service as well the quality of it's meals.